Rene and I have been having some great difficulty in figuring out the right temperature for our household. Rene enjoys inhabiting a house that is cold, I think he’s not comfortable till the temperature is well under 70 degrees. And for me, I like it warmer, anything around 73 degrees or higher makes me a happy girl. As you can see, there is definitely a big difference between what is acceptable for me and Rene. In the past, I’ve been very distraught over our air conditioning being on full blast when I’m already so cold, I feel like I want to jump into a parka and never come back out. I felt it completely unnecessary to waste energy on something that is making me feel more uncomfortable. Not only is it costly, but I’m cold! How very very unacceptable! However, I’ve become more and more aware of the fact that while I can start layering on tons of clothes to make me more comfortable, there isn’t much more that Rene can do to cool off when the temperature is just simply too warm for his body. It seems unfair for me to complain when I can do something about my situation, whereas Rene can’t really do much more than just be naked. And no, I don’t think that is the right answer to this problem! 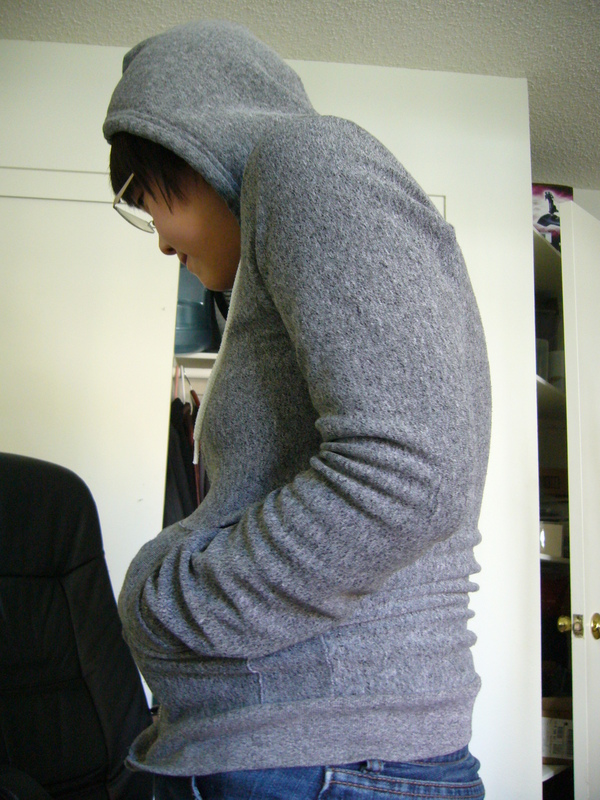 My American Apparel Hoodie keeps me from freezing over! 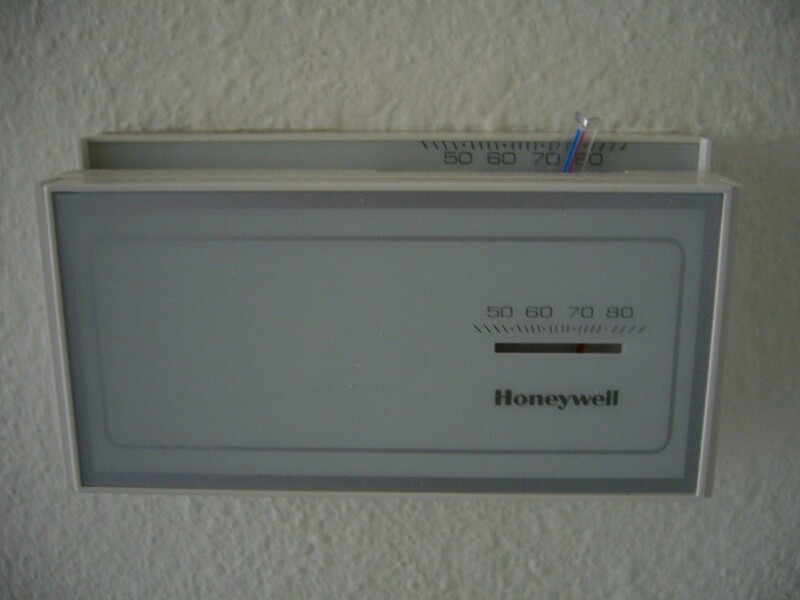 In an attempt to become a more nurturing female, who thinks beyond her own wants and needs, I’ve decided to try to quit complaining about the A/C being on. In the end, even when we have the A/C on a lot, the bill isn’t even that high, at least for our means. And plus, Rene is more productive when he’s feeling comfortable, so we’ll likely make more income this way. And as for me, don’t worry, I’ll just stock up on more hoodies and dig out my winter indoor slippers from my closet. I like those slippers anyways, they are sooo comfy! 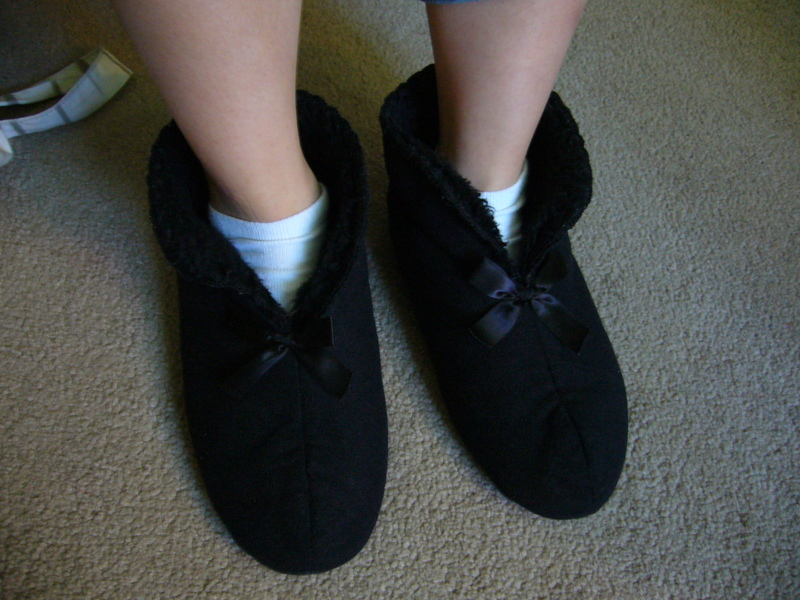 Warm Indoor Slippers, aka. my comfy booties! Does anyone else have this problem in their household? I used to think it was silly when the media would make fun of this difference between men and women, but I’m now finding it to be a very real issue! Why does this happen? Are all males warm blooded and all females cold blooded? Has this been an issue that has recently occurred between the sexes or has it been happening since the beginning of mankind? Isn’t it body mass? Men are usually larger and get warmer faster. I always have fans on and then enjoy bundling up. Cozy. You’re a good girlfriend for biting the bullet and putting on more clothes. I hadn’t considered body mass, but I think there’s more to it than that. Most guys I’ve known in my life, even ones that are thinner and shorter than me, are usually more warm blooded than me. We don’t have exactly the same problem with the AC (especially since he’s not home during the day and Zoe can’t reach the controls yet), but Ed likes full covers at night even when it’s 80+ degrees in the house. I can’t handle it. On the one hand, I want to cuddle and be close, but oh my god it’s so hot, get away from me (he also seems to be warmer than me). I like it cold–but this manifests in refusing to turn the heater on–during the winter it took 51 degrees in the house to break me. I’m also cheap, so I generally just strip down (again–I’m the only one home, so it works out pretty well) if it gets too hot. I do have some compassion for Zoe though, so the AC’s set at about 77 because she gets really sweaty during her naps if it’s any warmer.